In Atheism Kills, Barak Lurie exposes the horrors of a world without God. Contrary to the mantra we've heard time and time again that religion is responsible for more deaths than anything else, it is in fact the absence of God which has killed - in obscene numbers. Ever since atheism first assumed government control in the French Revolution, it has done nothing but kill. Atheism has killed through its many deputies: progressivism, eugenics, fascism, and communism. Given their staggering importance, you would think that all societies, and certainly our educational and religious institutions, would be intent on studying them closely. Sadly, this is not the case. Our schools ignore them and our churches and synagogues take them for granted. But here's a simple test: Who among us can even name all of the Ten Commandments? And even among those who can name them, how many can explain them in a way that makes sense to the modern eye and ear? If you are a person of faith, this book will strengthen it; if you are agnostic it will force you to rethink your doubts; if you're atheist, it will test your convictions. For people who have thought little about the Ten Commandments, as well as for those who have a sophisticated understanding of them, it will be a revelation. That's a lot to ask of a short book, but the only thing that's short here is the length. The ideas are very big. 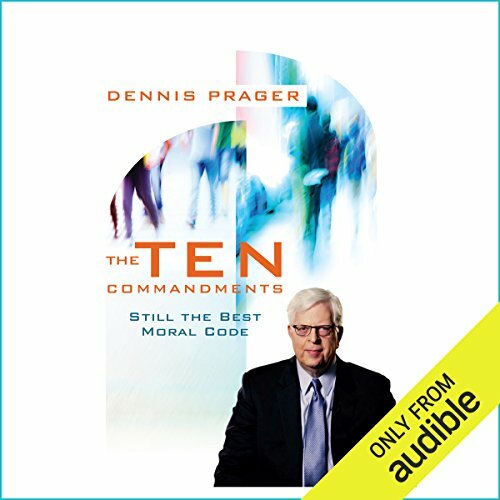 ©2015 Prager University (P)2015 Audible, Inc. If your views are reasonably compatible with those expressed in the Ten Commandments, you will likely find this fits nicely into a busy modern schedule, and much of it is edifying. This book wasn't anything I didn't already know but it defined how these principles are essential to maintaining order in our society. 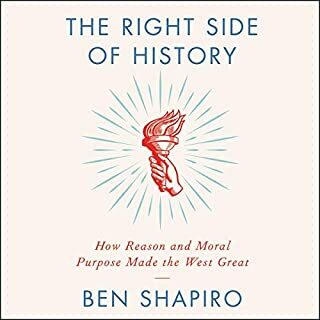 Highly recommended for a good understanding of why the 10 Commandments are necessary for a good and long lasting society and why without them we have no chance of surviving as a nation. What was one of the most memorable moments of The Ten Commandments? Which character – as performed by Lee Robertson – was your favorite? Need to share with family and friends. What made the experience of listening to The Ten Commandments the most enjoyable? 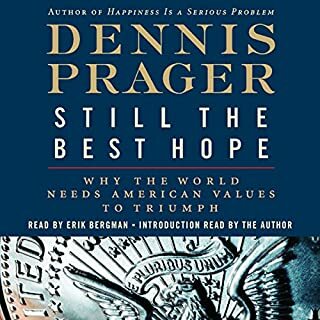 Listening to the pleasant voice of Denis Prager present his own views on the subject matter. Great synopsis of the 10 commandments and how they apply to daily life. Have enjoyed Dennis's writing for many years now. This book had some good insight. That said it was not as detailed or as truthful as I had hoped. I did enjoy it and I did learn a couple of interesting facts. I just wish it had of been a more in depth study. 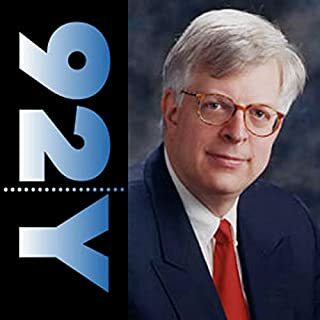 I enjoy Dennis Prager and for what it is he did a good job. He seemed to not want to offend any Christians when it came to the 4th Commandment. Because of this I gave it a 3 overall. This is worth every second spent listening. Don't hesitate if you're looking to learn more. This book is the best explanation of the 10 Commandments anyone could read. No matter your background you will take something away from it. Short but very sweet. 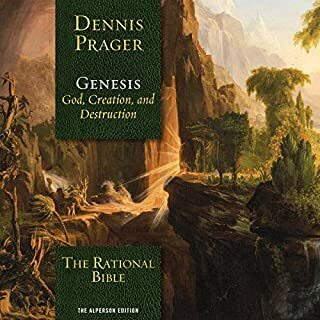 Dennis Prager usually does much, much better than this! Some of his answers were a little bit simplistic, with a few more sentences he would’ve explained it much better—as he usually does. 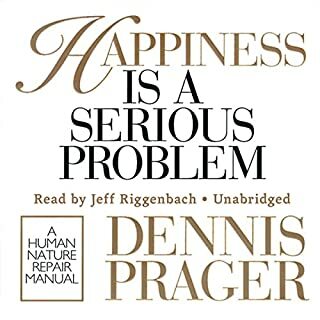 I just finished Happiness Is A Serious Problem by Dennis Prager and enjoyed it so much I decided to obtain the audible version of another book of his. I wasn't disappointed. He delivered a well thought out explanation of the commandments and related it to today's person. I thoroughly enjoyed this. At under 2 hours, I found it brief yet comprehensive enough to listen to while preparing for work. I loved how each of the commandments were explained and as someone who loves to study, the questions at the end of each chapter were a massive bonus. 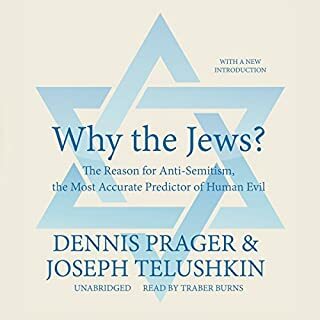 Currently reading another of Prager’s books and his style and delivery never disappoints. A fresh take on the Decalogue! I think that this is the first time that I have heard the Ten Commandments covered in such depth before and, with the exception of how I perceived the handling - or description of - the 1st Commandment (it came across as quite dismissive to me), I welcomed some of the clarifications and additional meanings. Once said, they make perfect sense, however I doubt that they've often been said! This is a study book, so I intend to obtain the PDF supplement and listen to it a few more times. Definitely worth the money! i didn't know that about the ten commandments,the naraitor was effective. i will be looking into other study options through pager uni.